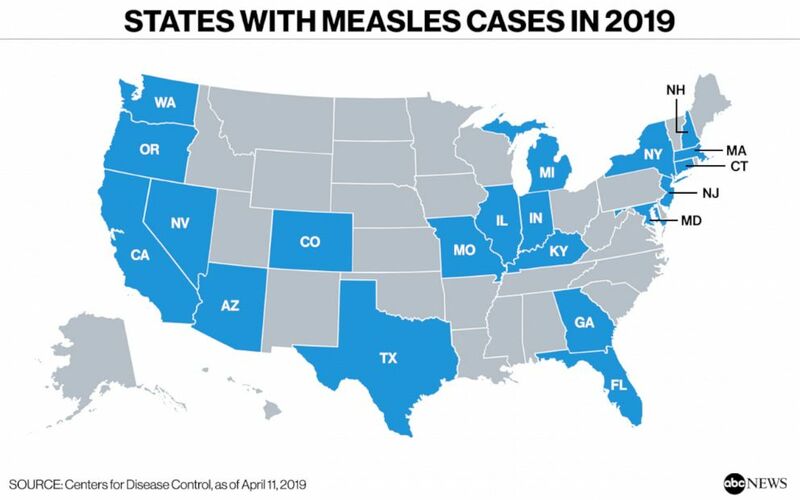 "Many countries are in the midst of sizeable measles outbreaks, with all regions of the world experiencing sustained rises in cases," the organization wrote in a news release Monday, adding that many of the outbreaks have caused deaths, "mostly among young children." The organization noted that a number of countries that have high overall vaccination coverage -- including the United States, as well as Israel, Thailand and Tunisia -- are experiencing spikes in cases as the disease is spreading among clusters of unvaccinated individuals. A graph showing the number of measles cases reported by year. That can be seen playing out currently in Brooklyn, New York, where five anonymous mothers are pushing back against Mayor Bill de Blasio's emergency order calling for everyone over the age of six months to be vaccinated in certain at-risk communities. "There’s no question that vaccines are safe, effective and life-saving," de Blasio said in a statement when he announced the order earlier in April.